Glen Boss celebrates another Doncaster Mile win on Brutal. Photo: Steve Hart. Glen Boss may be an Australian Hall of Famer, but he is not the type of jockey to sleep on his laurels – and age is certainly no barrier. Just take a quick glance at his glittering CV. The race that stops a nation is a case in point. When he won his first Melbourne Cup with Makybe Diva in 2003, do you think he’d stop and tell himself he would be happy just staring at the winning picture frame on the wall? 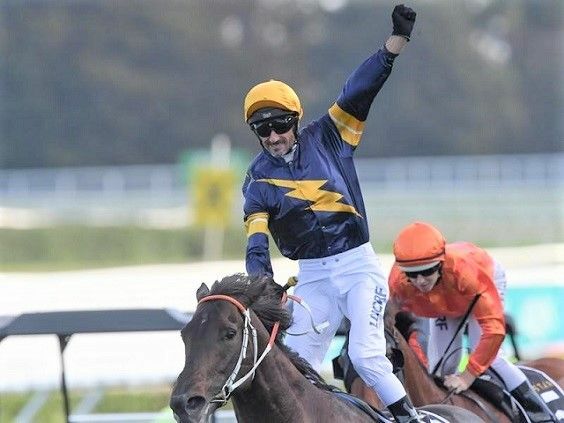 Glen Boss jubilates as he steers Brutal to victory in the Group 1 Doncaster Mile last Saturday (photo courtesy of AAP Racing). No, he went out there on many other second Tuesdays in November and now, he has three pictures hanging on that wall, and all clad in tuna mogul Tony Santic’s famous Australian-Croatian flags-inspired colours aboard the legendary mare (2004 and 2005). 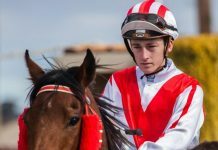 Fast forward to present time, the Caboolture (Queensland) native who has won almost everything under the Australian sun – bar that slippery Caulfield Cup – has now been riding in sunny Singapore in the last four years. At 49, Bossy as he is nicknamed, amazingly still sports a lithe and sinewy frame, but surely the twice-weekly riding routine (filled in between with many a tee-off!) at Kranji must have softened up the body and mind a tad. Nope, if anything, the drive to win races is as insatiable as ever, and it is not restricted to just scooping up wins at Kranji, be it on a lowly Class 5 cellar-dweller or a second Singapore Gold Cup (won his first aboard Risky Business on a hit-and-run visit in 2010). 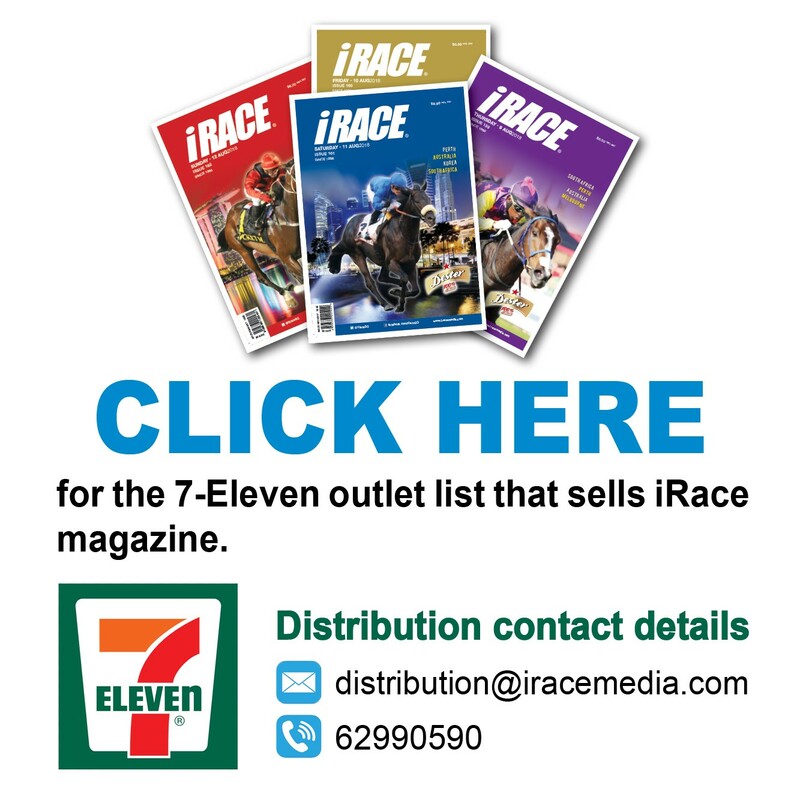 He already has 11 Group wins to his name at Kranji, including five Group 1s. That cliché “have saddle will travel” may be hackneyed, but it works for him, especially if that coveted asset that is his 50kg-frame is needed. 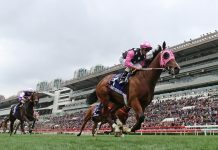 After several red-eye flights back to Australia (mainly Sydney and Melbourne) since he has called Singapore his base, Boss finally reaped the rewards of that Group glory pursuit back home with a seventh Doncaster Mile on the Hawkes-trained Brutal at Randwick last Saturday. Seven Doncaster Miles or Handicaps as it was called before 2010 – it’s a record that is unprecedented in the annals of Australian racing and will probably never be beaten. Singapore racegoers may be less familiar, but to Boss, the Doncaster Mile – now worth A$3 million – is the fifth biggest race in Australia. 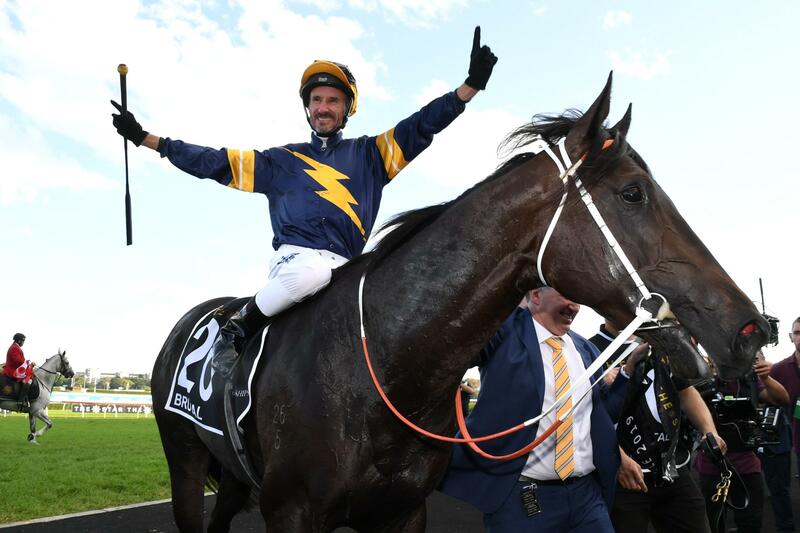 “To me, the Doncaster is the next big race in Australia after the Grand Slam – Melbourne Cup, Cox Plate, Golden Slipper and Caulfield Cup,” said Boss. “It doesn’t matter if I’m now 49, I still have the same hunger in winning those big races back home. I can ride light, but I had to waste down to 49.5kgs for the ride (on Brutal). “I’ve done it before and mentally, I know what regimen I was getting myself into. Lots of walking and no carbs, only some chicken, vegetables. It’s mind over matter. “I actually could have ridden him at 49kgs, but as I was declared to ride him half-a-kilo over, I carried 49.5kgs. Boss was in Seventh Heaven all right, but typical of the no-nonsense rider with the drive of a prize fighter and pinpoint accuracy of a sniper that he is, he was back down on Earth the next day and snagging the next Group 1 opportunity before it goes begging. Boss is packing his saddle and boots again for another eight-hour flight back to Sydney this Saturday. He rides French import Gallic Chieftain for Archie Alexander and big supporter OTI Racing in the A$2 million Group 1 Schweppes Sydney Cup (3200m) and has picked up an extra ride on New Zealand filly Imelda Mary in the A$2 million Group 1 Heineken 3 Australian Oaks (2400m) at Randwick. Yes, it’s The Championships, Sydney’s quintessential carnival of racing at a place where he ruled the roost for many years before he moved down South to Melbourne. Still, with his busy schedule back at Kranji, Boss didn’t have to, but Boss just wants to. Listening to him, it’s like taking a bus, but dig deeper, the minutiae of the prep work that goes behind each assignment mirrors the consummate professional he is. “Getting back on the plane is not a problem, but you need some time to get yourself ready for those races, especially if you ride light,” said Boss who boasts one Sydney Cup to his resume, the 2003 renewal with Makybe Diva. “I had a few options in the Sydney Cup, but Gallic Chieftain (who is handicapped at 51.5kgs) was my first choice. “He won the Group 2 Chairman’s Quality (2600m) last Saturday. It was always the plan to back up for the Sydney Cup, the two miles won’t be a problem, he ran third in the Sandown Cup two years ago. “Charlie Appleby’s horse (Dubhe) will be hard to beat, but my horse is in great form, and I believe in his chances. Speaking of trip, Boss will also be mixing business and pleasure at this next jaunt. “I’ll also have a free ringside seat to go and watch Winx for the last time. 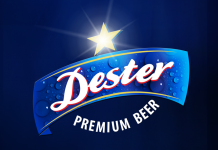 Just being there on that day is an honour,” said Boss. The wonder mare is running in her swansong race in the Group 1 Longines Queen Elizabeth Stakes (2000m) in a bid to land her 33rd straight win (and overall 37th). Boss does not have a ride in the A$4 million race which is conveniently slated between the Oaks and the Sydney Cup. Boss leaves for Sydney after the Friday night meeting, and will fly back to Singapore after the Randwick meeting to front up in time for the Kranji meeting on Sunday.